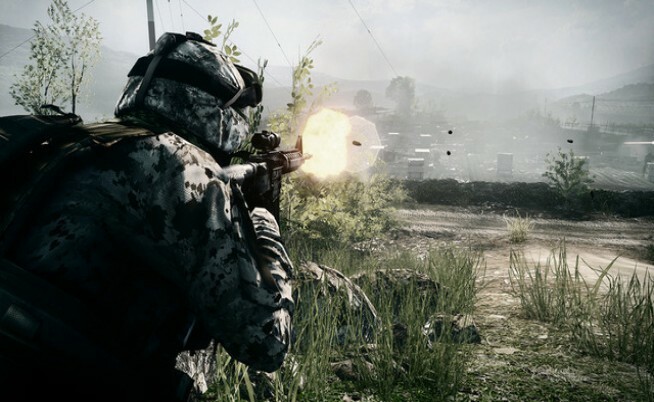 Karl Magnus Troedsson, General Manager of DICE, the studio behind Battlefield 3, believes that gamers will lose interest in the first-person genre soon if strides in innovation and technological advancements are not made. Recently, Edge asked Troedsson what he thought about the FPS genre and whether he thinks other developers are doing what it takes to keep the genre fresh and interesting. Innovation seems to have been a big part of DICE’s plan to get a strong foothold in the FPS market as their latest project, Battlefield 3, was powered by the brand new Frostbite 2 engine which has been in the development for a number of years and was built to push the limits of current-gen hardware as well as to spearhead the next generation of gaming. “I think we’re going to start seeing people moving away from the modern setting, because every now and again settings or themes start to get stale and then everyone jumps over. Y’know, at some point dinosaurs are the hottest thing and everyone is making games with dinosaurs, but there are trends. It used to be WWII, and recently it’s been the modern era and people are now moving towards near future,” as what happens to be the case with the upcoming Call of Duty title, Black Ops II. Do you think the FPS genre is beginning to show signs of age? Is a change of setting enough to breathe new life into the world of FPS, or do developers need to step up their game when it comes to technological advancements? Leave your thoughts in the comments below!